Outside of McDonald’s employees telling you the ice cream machine is broken, there's nothing more frustrating than seeing an email campaign with a low open rate. Fortunately, Sumo-lings can MacGyver their away around this by sending campaigns directly through Facebook Messenger with Botletter. But, Sumo-lings, you need to get your access to Botletter soon — we are almost out of codes! 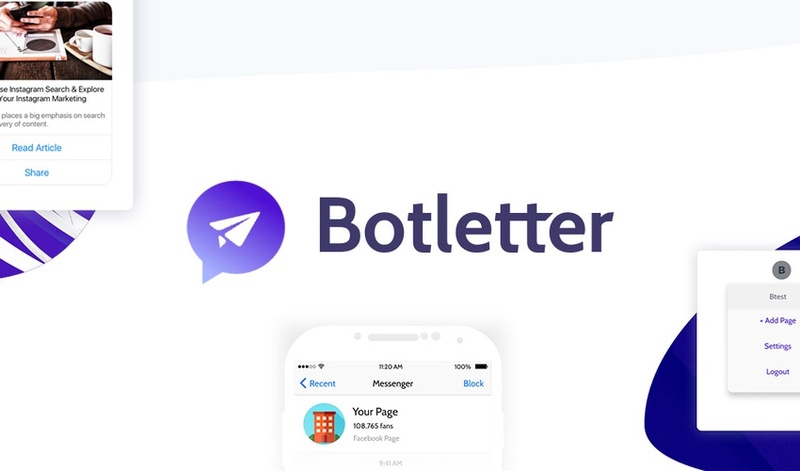 Botletter lets you send updates and drip campaigns on Facebook Messenger to an unlimited number of people. Right now, you can scoop up lifetime access to the Botletter Pro Plan. Plus, you can increase your messages per month by stacking codes! But you have to get your code before they’re gone! Everyone from bloggers to agencies, freelancers to consultants are using Botletter to push out content and updates. Through customizable newsletters, automated drip campaigns, filtered subscriber lists, and detailed analytics, Botletter is increasing retention and activation rates as well as improving marketing efficiency. However, you won’t be able to experience this amazing marketing hack if codes sell out! Get lifetime access to Botletter now!